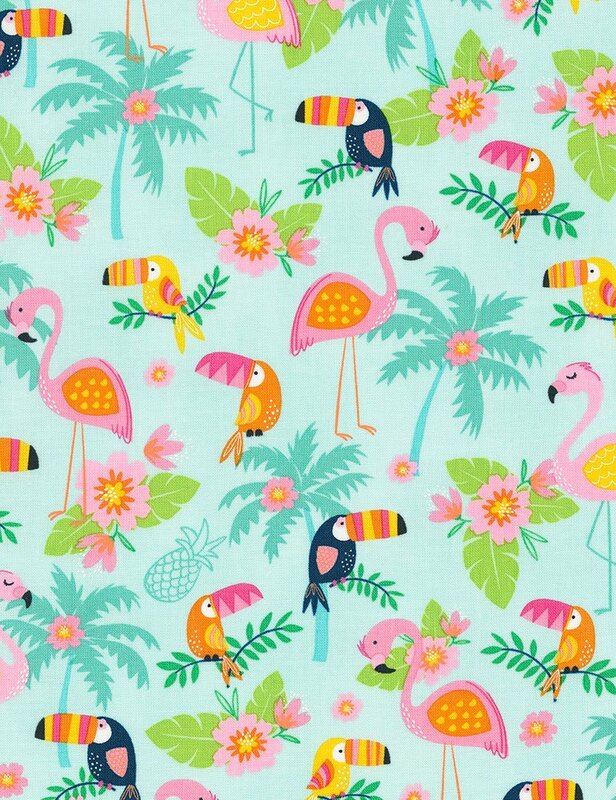 Flamingos and Toucans . 44in. 100% cotton.